The Palm Pixi Plus is Palm’s 2nd-generation device along with the Palm Pre Plus. 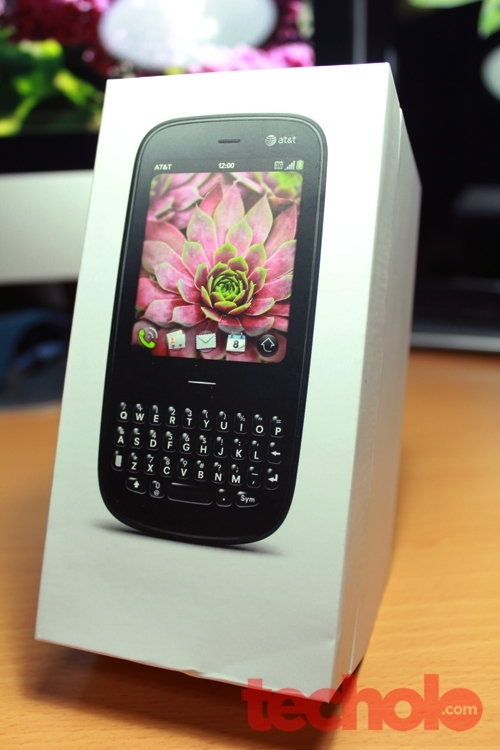 The Pixi Plus is Palm’s first WebOS phone that has a candy bar form factor with no sliding mechanism. 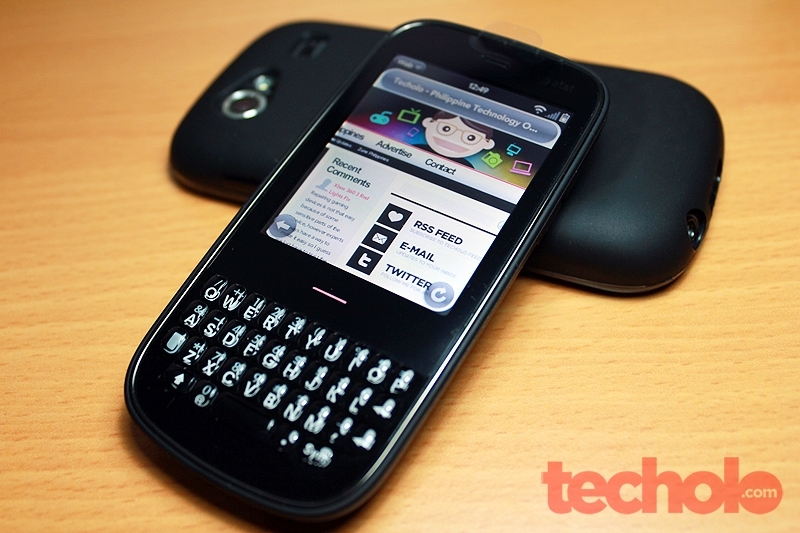 I like design of it, reminds me of my old Nokia e61i, but more sexier. This review may be a little too late after HP decided to discontinue operation for WebOS devices. Even so, this little hardware deserves to be reviewed like any other mobile phone we had handled so far. 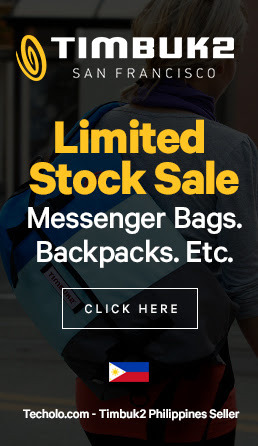 So for a-not-so-long review, read past the jump. Physical QWERTY keyboard and touchscreen. and the usual features like Wi-Fi 802.11b/g, accelerometer, ambient light, and proximity sensors. Most of the upgrade was all about hardware, the exterior is remained the same. One thing to note however was that the original Palm Pixi had no wifi for some silly reason. The inclusion on the Pixi Plus was a very obvious welcome. The keyboard is a little bit smaller than the Palm Pre Plus but both are good physical keyboards. What I like about the Palm Pre Plus and this phone is that the power button is located at the upper left corner. It just seems logical to place the on/off switch at this part because people tend to hold their phone at this position: thumbs rest at the top right while the forefinger ends up at the upper left corner. Unlike the Nexus S and Samsung Focus which places the volume rocker at the left and the power button at the right which causes accidental on/off or volume switching when pressing either button, the design of Palm/HP makes good sense. The Pixi Plus camera does a decent job of capturing shots but the quality is sub par. While there is an inclusion of a LED flash, it doesn’t seem too bright to lighten up some of my test shots. The rear speaker is loud considering this is a small phone. I had a hard time opening up the touchstone-compatible back cover to insert the battery and sim card mainly because it clips tightly to the outer frame of the whole phone. I did however manage to open it up using a credit card, slipping it on one side and sliding the back open. When I got the phone, I was really fumbling to find the micro usb charging port. I thought initially that Touchstone dock was required until I read the manual (yes I referred to the manual) and realized that there was a hidden, near-seamless flap at the lower left side of the phone where the port was hidden. It was invisible at first and took time to pry out but it made this phone look cleaner honestly. 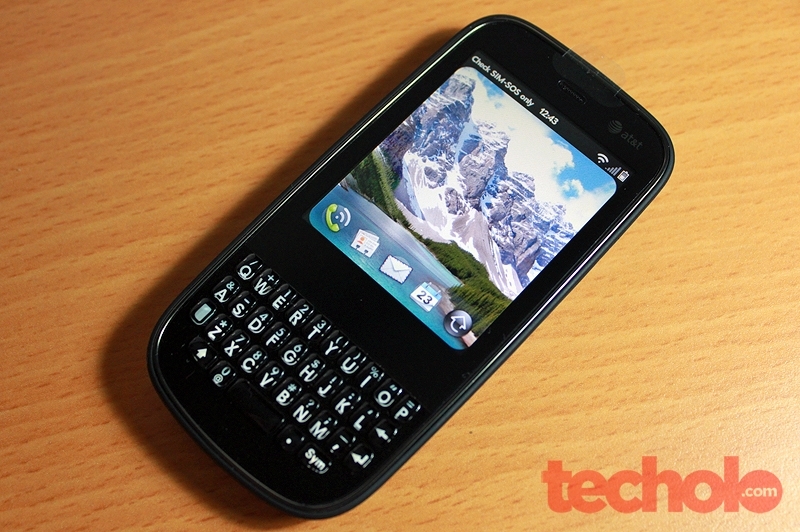 I won’t talk about WebOS on this phone since it functions the same way as the Pre Plus. 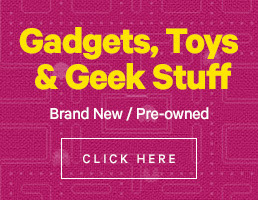 If you want to read a snippet, please head over to the Palm Pre Plus Review. 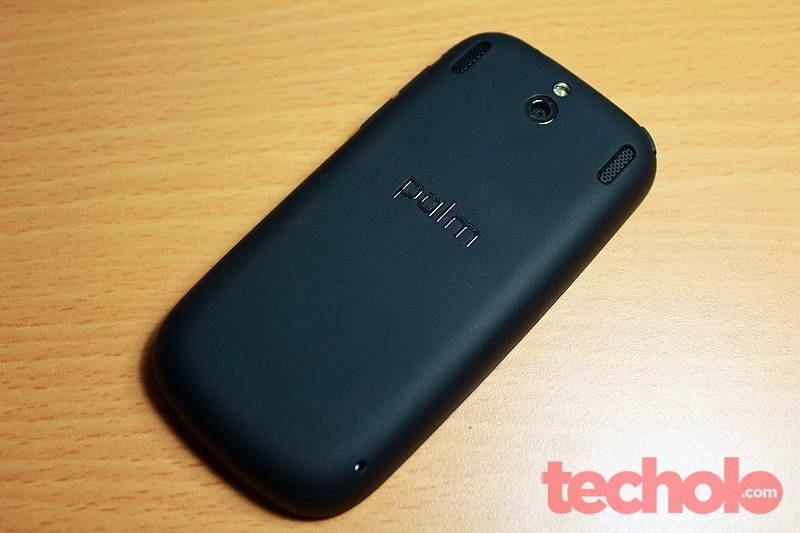 While I love the build quality of the Palm Pixi Plus, there were some setbacks with the user experience. I don’t really know if it’s the OS or the hardware but the whole thing is kind of slow. It maybe because I have used a faster phone before so my judgment may be relative to that, but then again, this phone is competing with iPhones and Blackberries. I like the form-factor of the PIxi Plus but it leaves me wanting more, same stuff I said about the Pre Plus. Larger screen (understandably so for this size but still), better camera, and longer battery life.